Garth H. Sjue is a Partner in the Commercial and Natural Resources Departments. His practice focuses on real estate lending and foreclosures, secured transactions and foreclosures, commercial law, banking matters, oil and gas, estate planning and administration, business formation and reorganization, sales and purchases of farms, ranches and businesses, taxation and bankruptcy. Mr. Sjue has also had experience in cases involving appellate work. 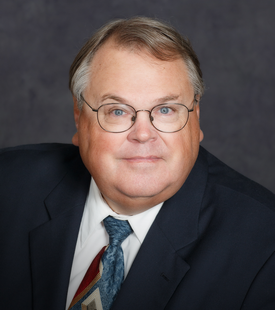 Mr. Sjue graduated with distinction from the University of North Dakota School of Law in 1982 subsequent to receiving an accounting degree in 1977, graduating with honors from University of North Dakota in Grand Forks, North Dakota. He has been a Certified Public Accountant since 1977. He also had two years experience as an internal auditor for the former Metropolitan Federal Savings and Loan in Fargo, North Dakota.